Ocean conservationists have been arguing for a long time that marine reserves are a good investment, because they help sustain many ecosystem services, including fisheries and tourism. Various studies have helped to quantify the value generated by marine reserves, but a new study puts it all together and presents a convincing value proposition for marine reserves. Now all we need are investors who can appreciate that value proposition and make it work economically, and the right combination of rules and governance that will make these new kinds of markets – ecomarkets – viable. 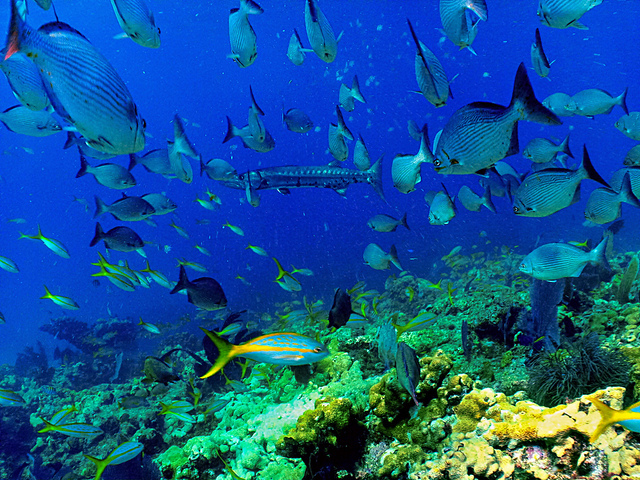 The benefits of marine reserves often outweigh the costs of establishing and maintaining them. You would think that there would be great demand for them, but instead the pace of marine reserve establishment has been slow and conflict-ridden. Why? Because many groups of people benefit from the status quo, and would suffer short-term economic harm from marine reserves. Also, the benefits of marine reserves take several years to accrue, while the costs are immediate. And while some of the benefits are fairly concrete and flow to discrete user groups – like lower fishing costs and higher fishery yields near the borders – others are less concrete (e.g., biodiversity and aesthetics) and flow to many user groups (e.g. tourists and people who like natural environments), including some (e.g., future generations) that don’t have much say in present day decisions. So theoretically, marine reserves can pay for themselves and then some. But right now, few people want to invest in them. How do we change that? Investors need to know what the return is likely to be on their investment, and they need to capture that return directly. They need to know that the risks of losing their money or not making the expected return are fairly well characterized and manageable. And the return must be commensurate with the risks. User groups which would suffer short term costs need assurance that they will benefit over the longer term and may need alternative ways to make money and feed their families while the benefits of marine reserves accrue. This recent study represents one of the best available estimates of the potential return on investments in marine reserves (see our study for ideas on how to use actual markets to capture economic benefits of keeping ocean ecosystems healthy and intact). But a business case must address these other factors if it is to attract investors. And because marine reserves protect public trust resources in the ocean, where rights and responsibilities are unclear, certain enabling conditions must be in place for a marine reserve business case to be viable. Right now, an investor would not be able to capture all the benefits of a marine reserve since they flow to several different economic sectors – fisheries, tourism, perhaps pharmaceutical development from marine natural products, etc. New governance entities, with management and exclusion rights over the marine reserve and adjacent areas influenced by the reserve, could capture these benefits of its stewardship activities, charge use and lease fees to other beneficiaries, and generate an investible revenue stream. These substantial rights and benefits must be attached to serious stewardship responsibilities, including rigorous performance monitoring and accountability. Investors are used to taking risks, but they like to know what they are and how they can be mitigated. The marine reserve business plan should describe factors that affect risk, such as the strength of the governance system, the resilience of the ecosystem, the relative influence of factors that can be controlled versus factors that cannot be controlled, etc. and articulate mitigation strategies. While fishermen and other users of marine resources stand to benefit from reserves over the longer term, they bear the direct costs of marine reserves in the short term, and unfortunately, the dynamics of most fisheries strongly encourages short-term thinking and action. This is because most fisheries are not managed at all, and thus have no limits on catch and are open to anyone who wants to fish. Not surprisingly, this often results in the rapid depletion of fish stocks. Even in relatively well managed fisheries with catch limits, fishermen tend to race to maximize catch if the number of fishermen is not limited, resulting in short seasons, overfishing, and poor economic performance. Marine reserves, under these circumstances, are often perceived as another drag on business rather than as an investment in the future of the fishery because the short term costs are much more salient than the longer term benefits. Fixing fishery management so that fishermen can prosper by adhering to catch limits and other regulations intended to conserve fish stocks and maximize yield over the long term can not only improve the conservation and economic performance of fisheries; it can also reduce the transition costs associated with establishing marine reserves (because fishermen are better off economically). Fixing fishery management requires a different kind of capital — capital that does not expect a return, such as philanthropic grants — since fishermen and society at large reap the benefits rather than the investor. Microfinance for alternative livelihood ideas that are rooted in real demand and local capacity, and that are attuned to local norms and practices (e.g., by lending to groups of people who hold each other accountable for paying back the loan), may also help to alleviate transition costs and reduce opposition to marine reserves. Many studies show that marine reserves generate many kinds of benefits, some of which can produce revenue directly (e.g., carbon credits and tourism use fees) and others that need new kinds of markets to evolve in order to generate revenue. But demonstrating economic value is the first step along a path to financially sustainable ocean conservation that includes reducing transition costs by fixing fisheries and empowering appropriate institutions with rights and holding them accountable to stewardship activities and performance metrics so that they will generate value from intact ecosystems and capture that value. This entry was posted in International, Science/Research and tagged eco-investing, Eco-Tourism, marine protected area, marine reserve, MPA, Ocean. Bookmark the permalink. Both comments and trackbacks are currently closed.